The late George Peter Nissen fashioned a canvas sheet to a rectangular steel frame in his parents’ garage nearly a century ago to create the world’s first bouncing apparatus, which he later called the trampoline. It’s doubtful, however, that he had in mind toddlers jumping or multiple children bouncing simultaneously, scenarios that often result in lower extremity injury. “We see fractures from trampoline injuries almost every week in the summer months,” said Aaron J. Provance, MD, medical director of the Pediatric Sports Medicine Program in the Department of Orthopedics at Children’s Hospital Colorado in Aurora. Tibia fractures often occur when a larger child is rebounding upward and a smaller child is landing simultaneously, causing significant compression force to the lower extremity. 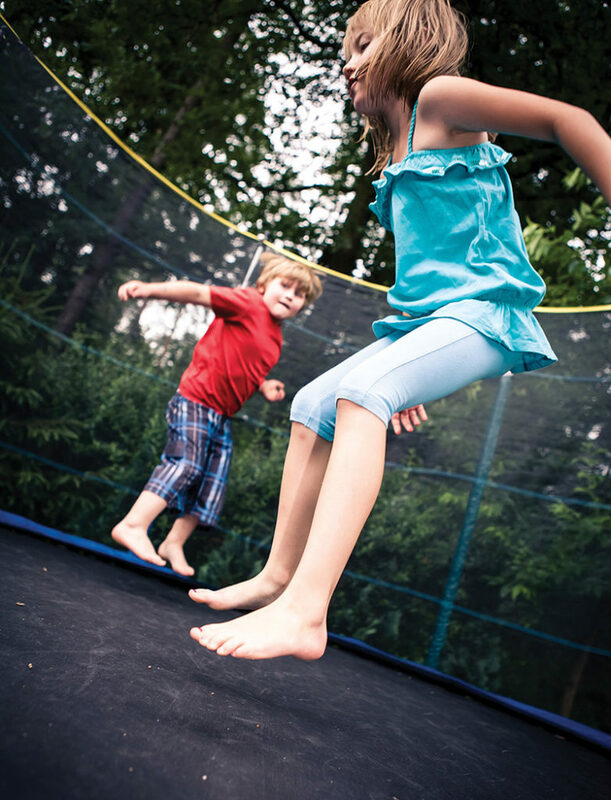 The type of trampoline injury varies with age and size, but the youngest, smallest kids are at the greatest risk. 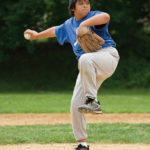 “Younger and smaller children are much more likely to sustain fractures of all types,” said Michele LaBotz, MD, FAAP, a member of the national executive committee for the AAP’s Council on Sports Medicine & Fitness, who practices at InterMed in South Portland, ME. Segal at WTHR also reported the majority (85%) of the 2014 ED visits for trampoline injuries recorded in the NEISS database involved children; those aged 2 to 5 years accounted for a quarter of the visits. And 42% of the injuries suffered by toddlers and preschoolers were bone fractures. Although the AAP and the American Academy of Orthopaedic Surgeons maintain that the majority of trampoline injuries occur in home environments, the proliferation of trampoline parks is another source of injuries. There was a staggering 700% growth in trampoline parks between 2011 and 2014, according to the International Association of Trampoline Parks, which itself was established only in 2012. These parks cater to kids—even those who are very young. Many parks lack oversight. Arizona and Michigan are the only states with specific laws related to trampoline safety, and there are zero federal regulations for trampoline parks. Anecdotally, however, LaBotz said sports medicine and ED doctors have noted marked increases in trampoline-specific injuries in geographic areas where trampoline parks have opened. “Visits to these trampoline parks often show an impressive list of rules and regulations upon entry, but enforcement of these policies [especially with regard to limiting numbers of jumpers on a mat] is highly variable,” she said. Despite repeated warnings by the AAP that children younger than 6 years are at an increased risk of fractures and dislocations and should not use trampolines, trampoline parks offer programs, with such names as Rockin’ Tots and Toddler Time, specifically geared to this age group. Larger people on the trampoline bed sometimes “rocket propel” smaller children. In other words, they send the kids much higher in the air than they could go on their own. When they fall onto the mat, they fall from a greater height than they otherwise would, while the trampoline bed recoils upward at the same time. Provance noted that tibia fractures commonly occur when a larger child or adult is rebounding upward and a smaller child is landing simultaneously on the trampoline, causing a significant compression force to the lower extremity. If this compression force is large enough, the top of the tibia can incur a buckle or compression fracture. LaBotz said one of the main risks with these injuries is a lack of recognition. Presentation depends on the site of the injury. For example, physicians don’t typically look for a buckle fracture, which is an incomplete fracture in which one side of the bone is compressed, causing the other side to bend, in the proximal tibia, she said. Because there is a broad spectrum of injuries associated with trampoline use, treatments range from simple bracing or splinting performed in emergency or outpatient settings to injuries that require hospitalization and potential surgical intervention. There doesn’t seem to be a difference in the severity or prevalence of injury with the use of padding, netting, or other safety measures. The AAP has reported that the introduction of netting and other safety equipment in the late 1990s and early 2000s has not reduced injury rates.4 Many injuries occur on the bed itself, where padding or netting can’t mitigate injury risk. In addition, LaBotz said many suburban neighborhoods have trampolines with nets and padding that are inappropriately installed, in poor repair, or both. Another problem, she said, with “safety nets” is the often false perception of protection they can produce. 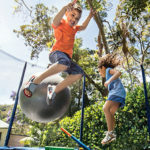 They may, for example, entice users to take additional risks on the apparatus; falsely assure parents and other adults that supervision is not needed; and can be additional sources of injury, particularly if children try to climb netting or get body parts caught in the netting while jumping, all of which is why the AAP continues to advise against using backyard trampolines. Not everybody is on the trampoline ban bandwagon, however. Norwegian researchers don’t support the AAP’s position. Instead, they advocate using the trampoline for lower extremity exercise to help children develop motor skills, strength, and balance. 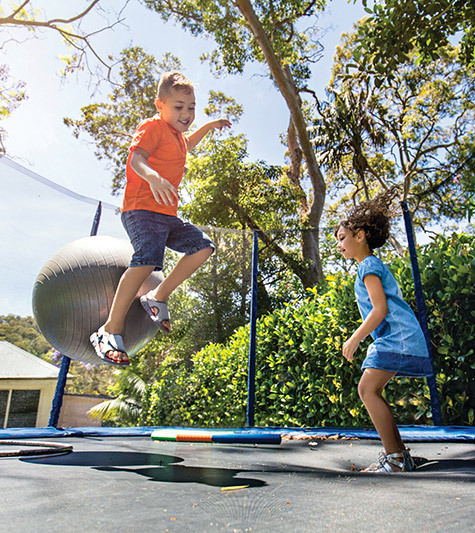 Although the Norwegian researchers stressed the importance of being aware of trampoline-associated risks, they concluded the effects of inactivity outweigh the risks of trampoline use. LaBotz agreed with the Norwegians. She said there is an intrinsic risk associated with any form of physical activity—everything from bicycling to football can be associated with higher rates of acute injury compared with sitting on the sofa. Athletes, including gymnasts, divers, figure skaters, freestyle skiers, and the like, use the trampoline as an intrinsic part of learning certain skills. However, this training is done with trampolines that differ from those used by the public; it also includes dedicated and experienced spotting and oversight that make the risks associated with this activity much lower than with recreational home trampoline use. They include: limiting use to one person at a time; not attempting flips; keeping springs covered with padding; not placing trampolines near trees or other structures; not allowing children younger than 6 years on the trampoline; providing adult supervision at all times; placing an enclosure to prevent falls to the ground; and not placing a ladder near the trampoline. “Trampolines were initially designed for training acrobats and military aviators, and can be a very helpful part of a structured and well-supervised athletic training program, but they are not toys,” said LaBotz. The Indiana University study numbers confirm the frequency of trampoline injuries presenting to EDs, but the problem is more widespread, and the actual figures are likely much higher, LaBotz noted. National Electronic Injury Surveillance System (NEISS). 1995 NEISS data. Consumer Product Safety Commission website. http://www.cpsc.gov/en/Research–Statistics/NEISS-Injury-Data/. Accessed May 10, 2016. Königshausen M, Gothner M, Kruppa C, Dudda M, et al. Trampoline-related injuries in children: an increasing problem. Sportverletz Sportschaden. 2014;28(2):69-74. [Epub 2014 Jun 25]. Briskin S, LaBotz M. Trampoline safety in childhood and adolescence. Council on Sports Medicine and Fitness, American Academy of Pediatrics. Pediatrics 2012;130(4):774-779. Reaffirmed July 2015. Alexander K, Eager D, Scarrott C, Sushinsky G. Effectiveness of pads and enclosures as safety interventions on consumer trampolines. Inj Prev 2010;16(3):185-189. Caine D, DiFiori J, Maffulli N. Physeal injuries in children’s and youth sports: reasons for concern? BR J Sports Med 2008;40:749-760. Lalonde KA, Letts M. Traumatic growth arrest of the distal tibia: a clinical and radiographic review. Can J Surg 2005;48(2):143-147. 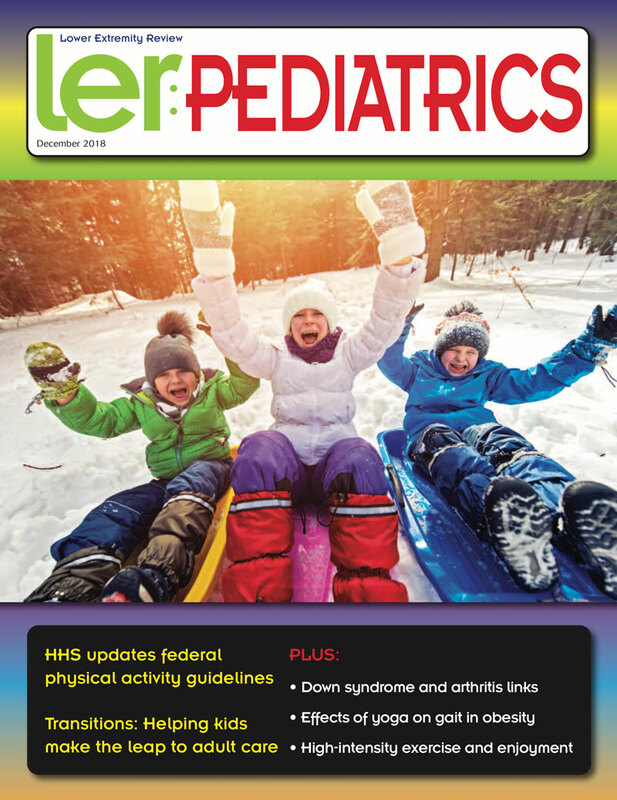 Blumetti F, Gauthier L, Moroz P. The ‘trampoline ankle’: severe medial malleolar physeal injuries in children and adolescents secondary to multioccupant use of trampolines. J Pediatr Orthop B 2016;25(2):133-137. Nysted M, Drogset J. Trampoline injuries. 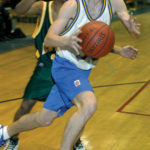 Br J Sports Med 2006;40(12):984-987. Brown PG, Lee M. Trampoline injuries of the cervical spine. Pediatr Neurosurg 2000;32(4):170-175. August 12, 2015 Childhood obesity and OA: Can early care reduce risk?